Using newfound energy to slice up Romney’s record, the president forced his rival on the defensive. 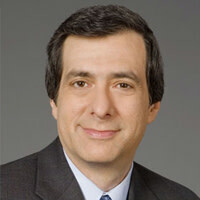 Howard Kurtz on the impact of the second debate. Barack Obama came to play in the second presidential debate Tuesday night, unleashing a series of attacks against Mitt Romney that accused him of favoring the rich and “extreme” social policies. Romney got in the president’s face more than once, repeatedly challenging him and at one point refusing to let him break in: “You’ll get your chance in a moment, I’m still speaking.” It was a power move that temporarily silenced Obama. But what became the flashpoint of the debate was when Romney claimed that the president had not initially called the attack on American diplomats in Libya an act of terror, only to be corrected by moderator Candy Crowley—which immediately drew complaints from GOP partisans. Romney again turned in a solid performance here at Long Island’s Hofstra University, but there was one stark difference from the faceoff in Denver: this time he had an active and engaged opponent. And as the evening wore on, Obama gradually took control, repeatedly forcing Romney to respond to his barrage and shifting the discussion firmly onto his turf. Compared with the lethargic figure of two weeks ago, it was as if the Obama campaign had sent a body double. Romney seemed off balance at times as he tried to regroup and regain the initiative. Romney senior strategist Ed Gillespie was more subdued, declining an opportunity to declare his man the winner. “No doubt the president changed his style tonight, but that doesn’t mean he can change his record,” Gillespie said. Former New Hampshire governor John Sununu was more aggressive, saying Obama’s comments on Libya were “the most dishonest I’ve ever heard” in a presidential debate and that Crowley was “wrong” and should not have stepped in. Romney got off to a strong start, telling college student Jeremy Epstein that he would protect Pell student grants—so much for budget-cutting—and that “the middle class has been crushed the last four years.” But the president fought back in the opening minutes. In a not-so-veiled reference to Romney’s tenure at Bain Capital, Obama suggested his rival’s philosophy was to have the rich buy and bankrupt companies, strip their pensions, and still make money. It was during a spat over oil and gas production—Romney insisting it had plummeted, Obama maintaining he had taken away leases from nonproducing companies—that the two circled each other like prizefighters poised to pounce, staring each other down while cutting each other off. Obama punched back in a way he utterly failed to do last time, gradually seizing the upper hand as the debate wore on. “Governor Romney’s allies in Congress held the 98 percent hostage” because they want tax breaks for “the top 2 percent,” he said. Obama said Romney had talked about cutting taxes for everyone—not tax rates—during the GOP primaries. And in accusing his rival of refusing to disclose what tax loopholes he would close, or spending cuts beyond those for Big Bird and Planned Parenthood, he said Romney was peddling “a sketchy deal” that no one should accept. Sounding increasingly defensive, Romney touted his record in running a business, the Olympics, and the state of Massachusetts. “When we’re talking about math that doesn’t add up, what about $4 trillion in deficits?” When Romney tried to continue one of his answers and Crowley raised her voice and forced him to stop, it temporarily took the wind out of his sails and he seemed grumpy. After a question about pay equity for women, Obama pivoted to another assault on Romney, saying he opposes a provision in the new health care law to require insurance companies to provide contraceptive coverage. Another question from a woman in the audience forced Romney to put some distance between himself and the last Republican in the White House. “President Bush and I are different people,” he said. Time and again, Obama went beyond the questions to shoehorn in what were obviously rehearsed lines of attack. Having invested in companies that are “pioneers of outsourcing to China,” the president said, “Governor Romney, you’re the last person who’s going to get touchy on China.” He added that Bush didn’t propose turning Medicare into a voucher program (as Paul Ryan did), and embraced immigration reform, rather than calling for “self-deportation” as Romney did in one primary debate. Romney kept returning to the economic failures of the last four years, his strongest suit by far, citing figures on unemployment, poverty, and food stamps, and recycling lines from earlier in the night. Obama seemed at his most passionate when a Latino women asked about immigration, saying those here illegally “think of this as their country” and that Romney promised during the primaries to veto the Dream Act—a version of which Obama has imposed by executive order. The president defused another toe-to-toe confrontation with humor. When Romney kept demanding, “Have you looked at your pension?”, Obama shot back: “I don’t look at my pension—it’s not as big as yours.” Romney was trying to make the point that Obama’s retirement fund also invested in China. A number of the audience questions in this town hall format subtly favored Obama by focusing on immigration, women’s rights, and Bush. One exception came in the final half hour, when a man asked about the attack on the U.S. consulate in Libya. Romney was mounting an effective critique of the administration’s shifting explanations of the fatal attack when he overstated the case—and was corrected by Crowley. “It took the president 14 days to call it an act of terror,” Romney said. “He did in fact, sir,” the CNN anchor told Romney, effectively defusing the attack. Even an exchange on gun control enabled Obama to recycle a barb once used against John Kerry, who played Romney in debate prep. “Governor Romney was before an assault weapons ban before he was against it.” Obama said, invoking a ban on such weapons that Romney signed in Massachusetts. Thematically, Romney repeatedly invoked his tenure as governor to portray himself as a hands-on executive pursuing moderate solutions—something he rarely mentioned during the Republican primaries. Obama, while defending his record, spent much of his newly discovered energy eviscerating Romney’s proposals and invoking contrasts with his primary rhetoric.